The Aquarian Triple Threat is designed to be played hard and loud… This is an extremely thick and durable snare drum head that still provides some tone and responsiveness. The Aquarian Triple Threat is made with three plies (yes three!) of 7mil film, and a top coating. 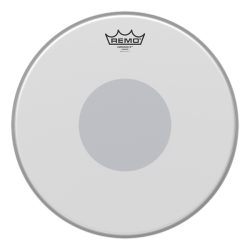 This drumhead is a whopping 21mil thick, meaning it can stand up to very heavy hitting and can produce huge cracking rimshots. 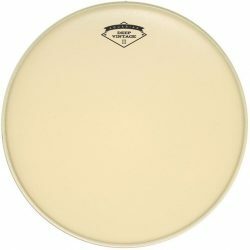 The three plies are molded together to increase sensitivity – this drumhead is surprisingly responsive (and still has some character) considering its thick design. The overall sound of this snare drum head is fat and warm, with a big cutting attack. 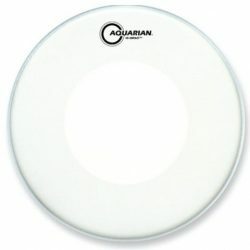 The Aquarian Triple Threat can produce a lively and powerful snare drum sound. 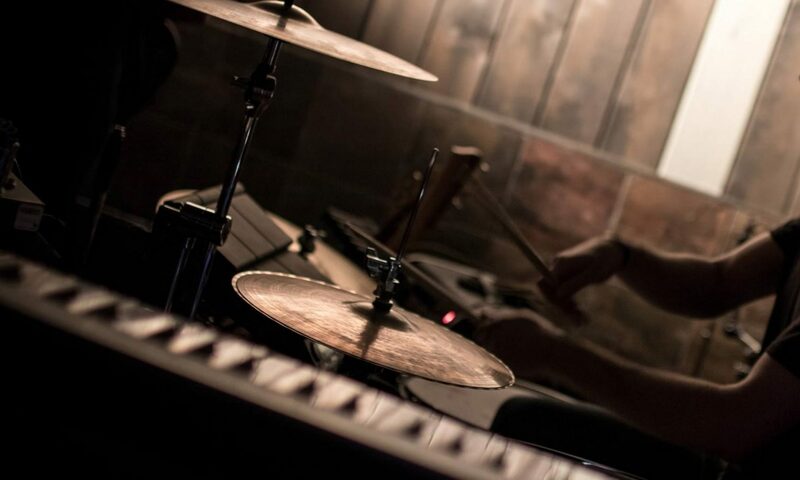 Tuned higher, the Triple Threat will cut through a loud mix, and gives a moderate amount of tone and sustain. 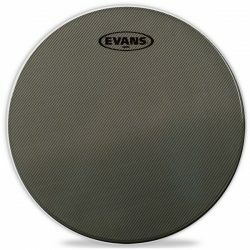 Overtones are noticeable, but these never get out of control thanks to this drumhead’s thickness. 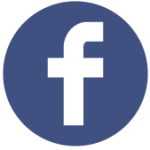 When used in louder volumes, these overtones disappear almost entirely into the mix. 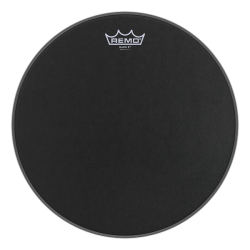 For a fat and more controlled sound, tune this drumhead low. 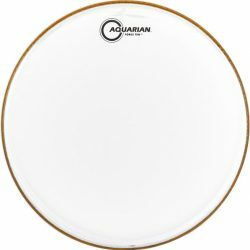 The Aquarian Triple Threat is a perfect snare drum head for heavy hitters. 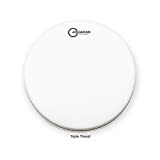 The three plies make this drumhead extremely durable – this is a great option if you’re constantly breaking or damaging heads. While the Triple Threat excels at high volumes, it is also fairly sensitive, and is still very usable at medium and even some lower volumes. The increased responsiveness is due to the three plies being molded together, allowing them to behave more like one ply rather than three. Note, however, that the Triple Threat is not sensitive enough for extremely light playing. 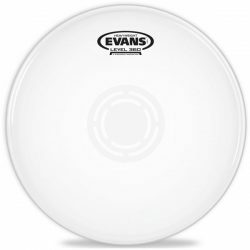 The coating and good responsiveness also makes this drumhead very usable with brushes, making it a surprisingly versatile choice for such a thick head. 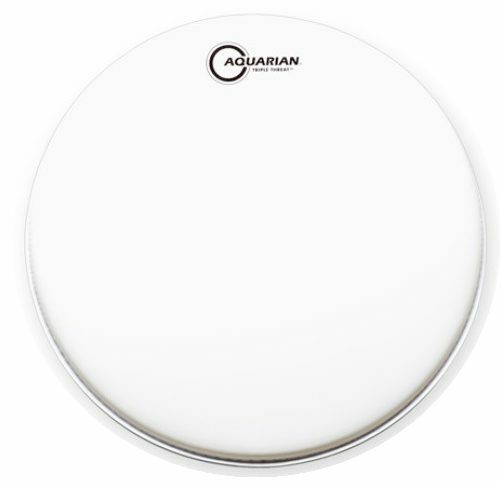 The Aquarian Triple Threat is made for snare drums. This head is available in 13″ and 14″ sizes, and is perfect for very heavy hitters who need a big sound.